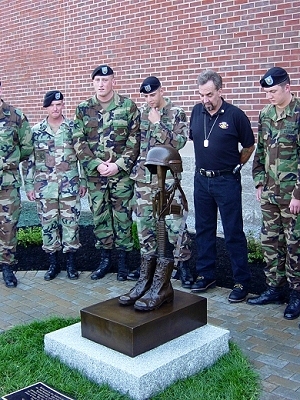 The US Army's "Golden Dragons" of the 10th Mountain Division 2-14th Infantry Battalion honored their fallen brothers in a solemn ceremony today when they unveiled a fallen soldier memorial. Over 1000 troops, families and dignitaries attended the ceremony to honor 15 soldiers killed in Iraq and Afghanistan. May they take their honored place at the right of the line.